TROY, N.Y. -- Police worked Wednesday to try and unravel the mystery of who killed a woman, her partner and her two young children, whose bodies were found in a riverfront apartment house the day after Christmas. "After being in this business for 43 years, I can't describe the savagery of a person who would do this," said Troy Police Chief John Tedesco. 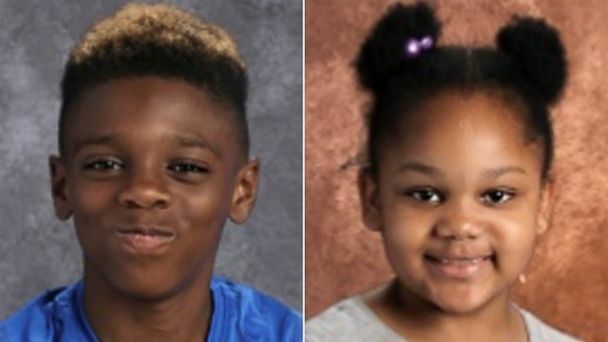 Troy police on Thursday identified the victims as 36-year-old Shanta Myers; her children, 11-year-old Jeremiah Myers and 5-year-old Shanise Myers; and 22-year-old Brandi Mells. Police say the women were in a relationship. Officials have released few details since the bodies were found Tuesday in a basement apartment in a home along the Hudson River in Troy, just north of Albany. Tedesco declared during a news conference that the killings were "not a random act," but wouldn't say why he believed that was the case. A property manager found the bodies Tuesday after being asked to check on the welfare of the residents of the apartment, one of five in a house located in the city's Lansingburgh section, police said. "I don't think there's any doubt that a person who committed this crime is capable of anything," Tedesco said, adding that police don't believe there was an imminent danger to the public. Police didn't know when the slayings occurred, but Tedesco said he hoped autopsies being conducted Wednesday would provide clues. State police were involved in the investigation along with New York parole officials, Tedesco said. Investigators remained at the scene Wednesday. Police cars blocked vehicles from approaching the home, which is set amid older, restored houses. Yellow crime tape was stretched across the street, running along the river's east bank. Few people ventured out on the snow-covered sidewalks in temperatures in the teens. "This heinous atrocity is unimaginable, incomprehensible. I believe it affects the whole community," said the Rev. Jackie Robinson, pastor of Oak Grove Baptist Church in Troy, who did not know the family. "Kids are traumatized. A lot of adults are traumatized too, because this monster is still out there." Police are asking the public for any information relating to the case. No suspect has been identified publicly.